This afternoon, Crytek announced that they had downsized their Texas-based USA studio and moved development of the free-to-play co-op shooter Hunt: Horrors of the Guilded Age to their main offices in Frankfurt, Germany. What they didn't say is that Crytek USA's senior staff, including studio head David Adams, quit over a week ago because they weren't getting paid, according to people familiar with goings-on at the company. As of last week, the bulk of the studio—which employed 30-35 people—was gone, and as a result of their departure, Crytek was forced to shift development of Hunt (pictured above) to their Frankfurt office. It's a sad case of lightning striking twice for the folks at Crytek USA, which mostly consisted of people who worked at the studio Vigil, which dissolved when publisher THQ went bankrupt in 2012. In May, Crytek boss Cevat Yerli visited the Austin, Texas-based Crytek USA to inform them that they were planning to put together a bank deal by June 20, according to a person who was at the studio then. Though staff at Crytek USA had not been paid on time for several weeks, Yerli assured them that the company would be receiving funds through the bank deal, and that people would be paid soon. Around the same time, Crytek's higher-ups were saying the same thing to employees at their other studios in Frankfurt, the UK, and elsewhere, according to sources. Since March, paychecks had been missed across the company, though as of last Friday, from what I've heard, the bulk of owed payments have been made. But when June 20 passed without a cash injection, Crytek USA's staff stopped going to work, sources say. And last week, the studio's senior leadership quit. Some have already taken new jobs, as I've confirmed by their Linkedins and conversations with sources. 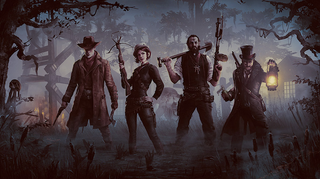 "Everyone at that studio was incredibly talented, and they got scooped up quickly by studios that actually pay their employees," said one person connected to Crytek USA. This afternoon, Crytek also announced that they had shut down their UK studio and sold Homefront: The Revolution to the publisher Deep Silver, which will develop the game under a new company made up of former Crytek UK employees including Homefront director Hasit Zala. We've reached out to Crytek for comment and will update should they add more details.